In this video, I’m doing some barefoot running in sunny California. I will talk about some usability issues, and also test how waterproof the watch is! First video out of a series of 5 I will be making to review the Epson runsense SF-810, as part of the 100 Epson runners testing programme. Epson has very kindly sent me this unit to test. In exchange for leaving 5 reviews I am allowed to keep the Runsense which I tested without charge. So, here it is! Last week I got a new gizmo in Lidl, a “spur of the moment” buy – well, in my defence I had seen it in the catalogue before, but since I was considering getting a bluetooth heart rate monitor to interface with my Android phone I didn’t give it that much thought. Anyway, when I went last week to Lidl for my groceries I had a long look at it and in the end the relatively low price (£14.99) convinced me 😀 . It is quite full-featured (the user manual is quite sizeable, too! 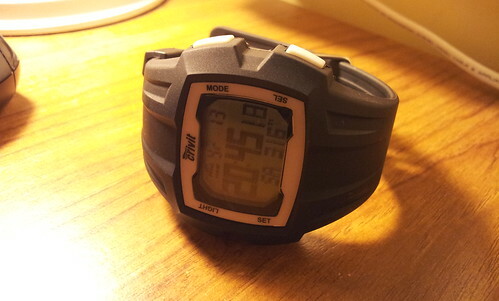 ), having “regular” watch mode (eg comprising time & date, chronometer, alarm and even dual time zone support! ), pedometer mode and HRM mode. The good news is that these functions are not independent, ie you can go for a run whilst tracking your heart rate and seeing all the relevant information on the screen, which albeit tiny is more than enough in terms of legibility (and it even has a blueish back-lighting to help when going for runs in the dark). But it is functional, and the aforementioned display is good enough to accommodate the speed or HR as you’re going along in quite big digits, along with an accompanying graphic which, in pedometer mode will tell you if you are trending towards an increase or decrease in speed, and in HRM mode it will graphically tell you where your current HR is in terms of the typical minimum and maximum brackets for your age range (very handy!). There is also a bottom row with additional information which can be customised, eg you can select to have the distance run displayed alongside the speed, or your current heart rate, or your average speed… the choice is yours :). As I mentioned before, the screen is quite good in terms of the amount of information it can display. The user interface is also quite simple to navigate, and I only had trouble finding some advanced settings because I didn’t read the user manual properly (more on that later). The rest is just a matter of navigating with one key and confirming with the other, and long-pressing to reset the counters. Nothing more simple! One thing that I really liked is the fact that the timing will automatically stop when you are stationary (since it is detecting both my footsteps and the lack of them!…). Running in an urban setting here in England requires continuous stopping, as zebra crossings are rarer than the actual zebras around here, and the general rule to crossing a road is to cross anywhere, provided that there are no cars coming, which may work if you are walking but it is really annoying if you’re running. I would have to manually stop and start my stopwatch whenever that happened, which was not ideal, especially since I couldn’t hear if the action was actually carried out (I use earphones), and in the end I’d be continuously checking my watch to see if the timing was still on (and try doing that at night, even with a backlit screen!). After that, I went to the troubleshoot section of the watch and there it was, written exactly for fools like myself, that if the speed readings were not presented correctly you’d have to calibrate the device. 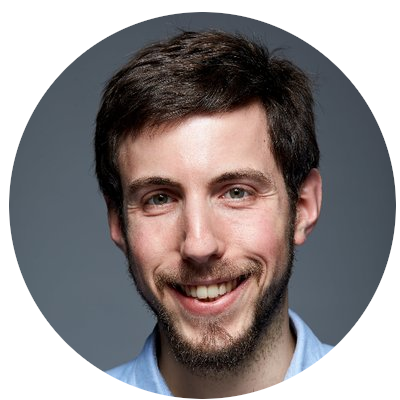 And actually the algorithm is quite sophisticated, as it takes into account a lower and an upper limit, which are configurable, and then asks you to run and walk a predefined distance to assess the size of your step. After calibrating it with a 400 m track I went on a test run again (I had the motivation of testing this watch, otherwise I wouldn’t have gone out as the weather was horribly windy and damp!) and I had a much lower error of about 300 m in a 4.5k run (and this time the error was by excess, it overestimated the distance ran). I will still do some additional calibrations, as I feel that I’ve set the higher limit too high (13 kph, when I normally run at 12!) and I’ve also used a quite short calibration track – next time I’ll do 1k, which is exactly two laps around my cul-de-sac. … and also a sort of a status update, since it has been a while since I last did that. Starting with that, then, I can finally say I am properly settled! Regarding my postgraduate studies, I am now fully registered, enrolled, contracted, and whatever other formalism they can throw at me. In the meantime, my work in the lab and in the classroom (which is also a lab, but a teaching one) have progressed steadily, which is what one should expect. OK, enough talking about work (it *is* Sunday, for heaven’s sake! I am not supposed to be thinking about work on a Sunday, even if sometimes I have to…). Let’s move on to the (hopefully short) review… of my new bike! For starters, you may remember from previous posts elsewhere in a certain social network that I’ve bought a beautiful grey Dunlop mountain bike for a very, very low price (paid £50 for it on SportsDirect) this February, so why am I getting a new bike now, not even a year after it? this is the Dunlop bike in question, in case you haven’t seen it already. Featuring a few aftermarket additions in a McGyver kind of way, such as the rear mudguard secured by a piece of string, or the back red light held in place by some cable ties! Well, the Dunlop bike is fine (apart from the back brake that needs new callipers, but that’s a minor issue), but the major problem with it is that it is 2000 km away from me, in my house in Portugal :). When I left Canterbury back in August, my plans were to return here in one years’ time or something like that, and not after a couple of months. If I knew that I wouldn’t have shoved two big suitcases, two smaller ones and a bike box, plus two people into a small little purple rented Peugeot 107 and driven all of that to Gatwick Airport, because then all those things I so efficiently dispatched home would be already here. 🙂 As you saw, that wasn’t the case, and since I was not contemplating the idea of dragging an additional bike behind me alongside a big suitcase and a backpack through multiple train rides on my way from the airport I used the opportunity to get a better one. I mean, a mountain bike is fine when you’re on the mountain, or, at least, in some more off-roady trails – but to use it for commuting and shopping one wants preferrably something with skinnier tyres and a more rigid frame (the dual suspension system I have in the Dunlop also doesn’t help with the weight – that thing is quite heavy!). It’s like using an off-road vehicle such as a Land Rover to do your grocery shopping: it works, but it isn’t either comfy or practical! So now I got this, a Raleigh Oakland Plus. It usually retails for around £200-£220, but I got it with a small discount off eBay with free delivery, which was great. 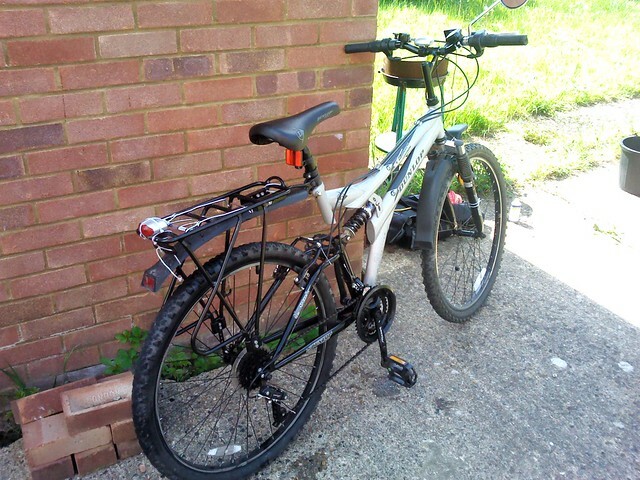 The specs aren’t anything out of the ordinary, really standard stuff: 18 (6×3) Shimano Tourney gears, V-brakes on the front and back, and lightweight trekking tyres (this is actually the first bike I own which has these kind of tyres, before I only owned mountain bikes…). 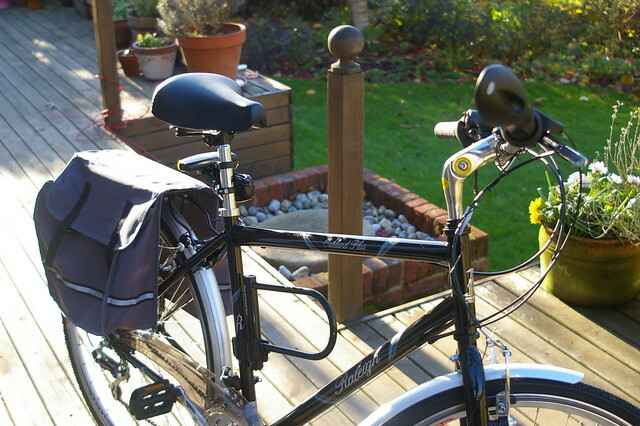 It comes fitted with a springy saddle, rear rack and silver mudguards, and that’s about it. Assembly was relatively easy, especially after having assembled another bike recently, so I knew what to expect: screw in the pedals, fit the handlebars and the seat post, set the front wheel in place. I was pleasantly surprised to find out the brakes were already perfectly tuned from factory, something that didn’t happen with the Dunlop (but that was a good thing, it taught me how to tune V-brakes, which is quite easier than I thought!). One thing with this bike that did annoy me is that they only supplied me with one Allen key, and I needed the size below (I reckon it is the 5mm one) to set some of the components, namely the angle of the handlebar and the seatpost height. One trip to the lab’s toolbox the following morning sorted out the problem, but it was a bit annoying they did not supply something as fundamental as an Allen key (the rest of the tools were supplied, so I imagine this was a failure in the automated distribution of the accessories). As for the ride itself, I’ve only done about 20 miles in it so my experience is still quite limited. Raleigh offers a five-year warranty on the frame, which is good (I’ve already registered my bicycle, took me a while to actually find the frame number which is in a very unaccessible part of the bike, and the characters themselves are very shallowly marked on the metal, too…). I have the impression that most nasty things that happen to bikes are normally caused by misuse and by storing them in an inappropriate manner – the bike I had before the Dunlop lasted me for 10 years, and it is still running strong! And even the Dunlop, after 700 miles in just 6 months is still in very good condition with some basic maintenance and cleaning, so I imagine the same to happen to this Raleigh. Cherish something, and it will last you a lifetime (that’s what I say about my 20-year-old Fiat… :)). One thing that I may change in the future is the saddle. One morning a few months after buying the Dunlop I went on a quite lengthy coastal bike ride up to Broadstairs and back (total riding distance was about 55 miles, if I recall correctly…). My legs were OK, given that the track itself is quite flat (a bit of a steep climb after Herne Bay, but that’s about it…), my face was a bit reddish afterwards because the day was quite sunny, but my bum… oh, it took me _days_ to actually regain a proper seating position, as the saddle was simply too hard/small and terribly uncomfortable. I ended up getting another saddle at SportsDirect, which wasn’t terribly expensive (about £9 or so) and was worlds apart from the original one. Returning to the Raleigh, the supplied one seems all right when you look at it (fairly wide, and quite springy too), but I still need to tune the pitch of it, as I keep getting projected towards the front, when it is the back of the saddle which is properly cushioned and it is where I should be seated. I will have to see if changing the pitch helps, otherwise I’ll just get a similar saddle to the one I got for the Dunlop. 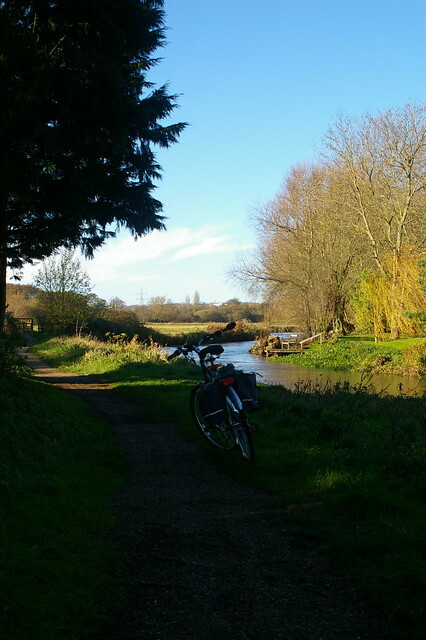 My new Raleigh on National Cycle Route 1, just off Fordwich village, east of Canterbury. So, as you can see, a nice little bike (you can get it with a 22-inch frame too, if you’re a big fellow – since I’m 5′ 10”, the 19-inch frame is more than enough for me) for a reasonable price. All in all, I think I made a pretty good deal, and these should serve me well in both commuting and leisure, with the added bonus of the trekking tyres not dragging me down like a mountain bike would, so the journey becomes less tiresome, which is always good :).